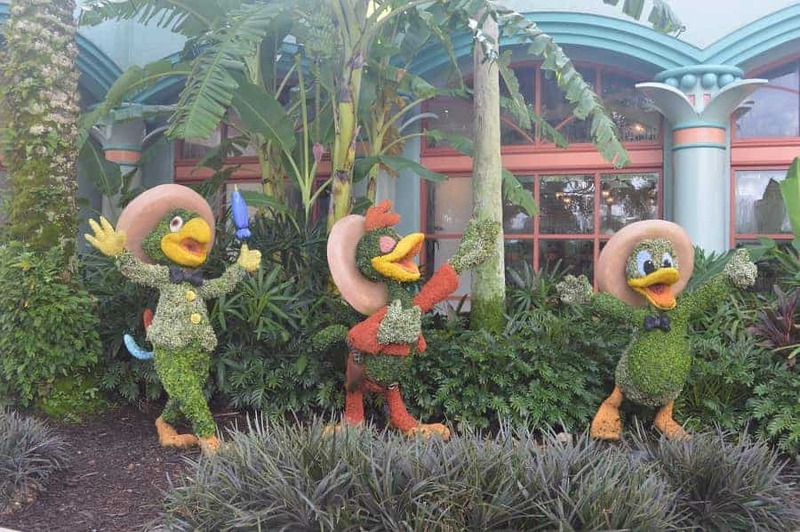 Take a trip back in time to Spanish-colonial Mexico at Disney’s Coronado Springs Resort. 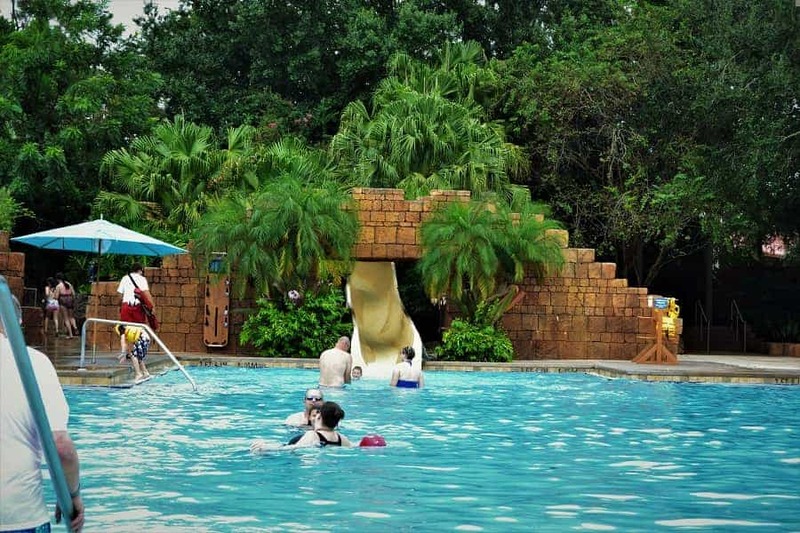 Situated along a beautiful lake, this resort has everything you would want from a Disney Resort… nice pool & play area, wonderful onsite Mexican themed restaurant and a full service spa. It is also one of the only conference centers on Disney property. Rooms are pretty standard in terms of what you expect from Disney. I felt like they had more of an upscale resort feel than other Disney Moderate resorts. The room & bathroom were nicely decorated with Southwest touches, but not done so much to make it too kitschy. 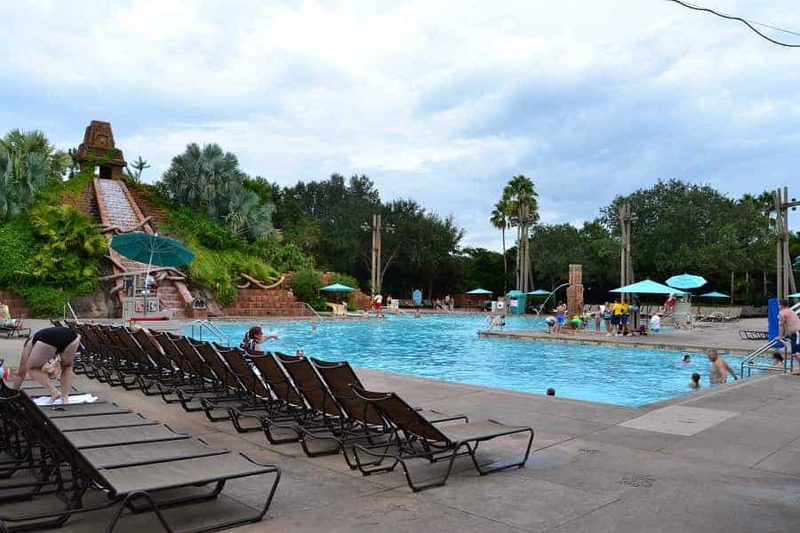 I have to say that the pool at Disney’s Coronado Springs Resort is one of my favorites. 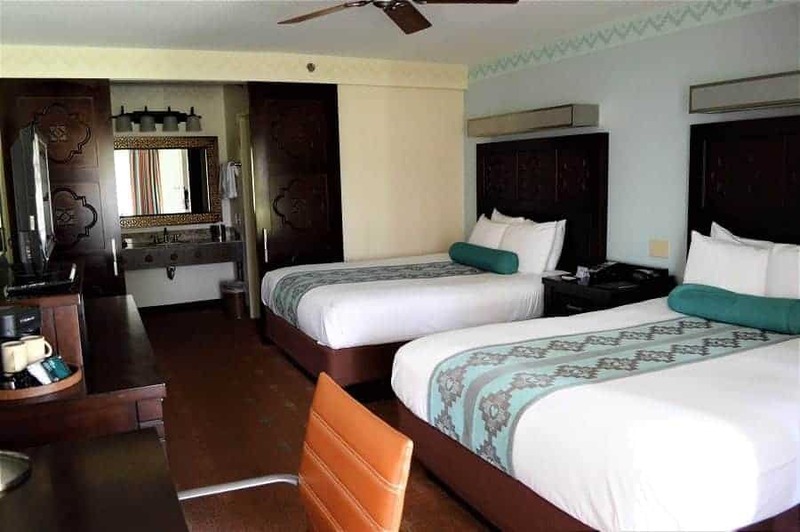 You really feel like you are taken away to a tropical paradise with plenty of trees and a large replica of a Mayan Pyramid with cascading waterfall as the backdrop. The pool is quite large and laid out in such a way that you don’t feel like you are on top of each other when it does get crowded. There is also a fun slide the entire family can enjoy. 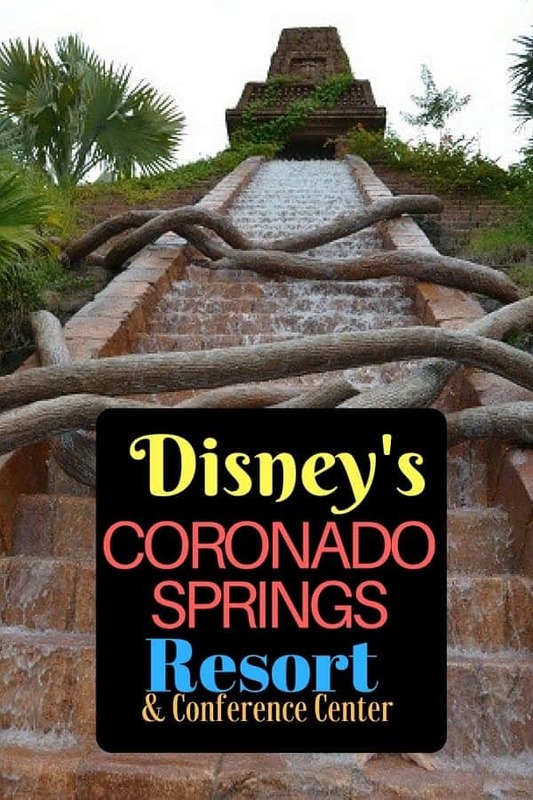 Seriously, this slide is one of my kids favorite of all the Disney resorts! You will find a bar, playground, arcade and campfire site all just a few feet away from the pool. It is easy for your kids to enjoy everything at once rather than have to plan separate trip to enjoy each of these places. 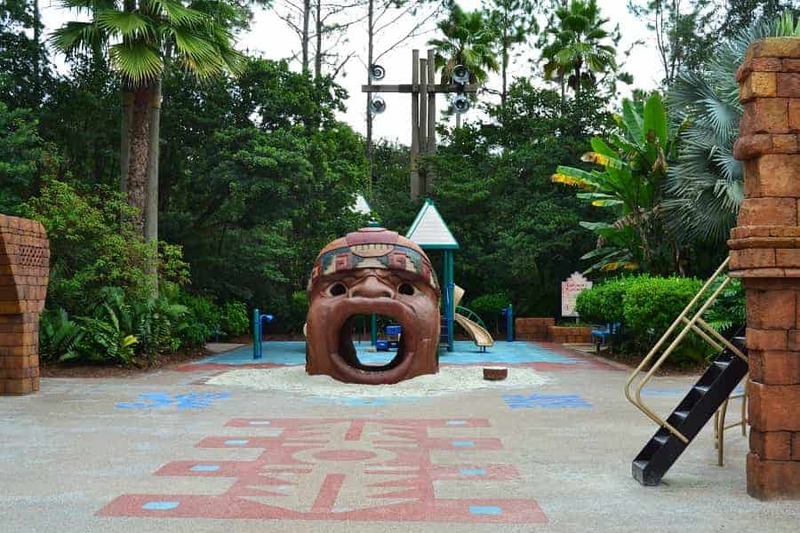 The Explorers playground sticks with the Southwest theme throughout. 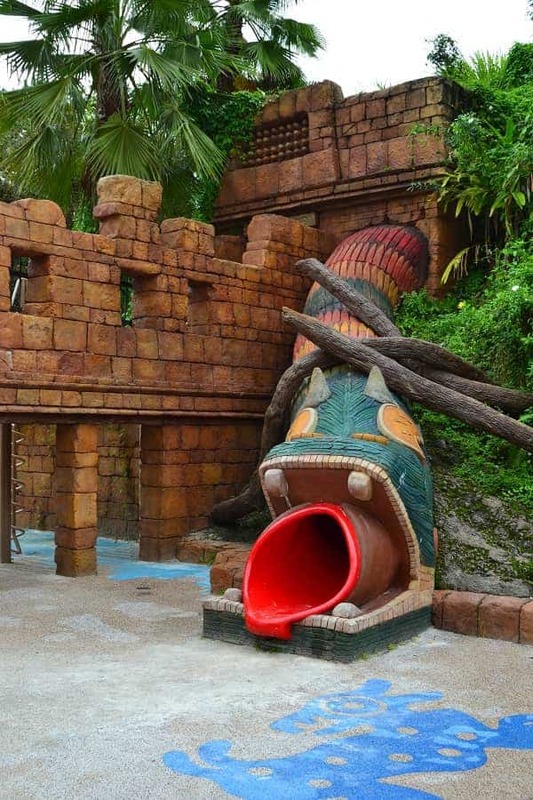 Among the Mayan ruins, you will find a jungle gym, slide and much more. The on-site full service restaurant, Maya Grill, was AMAZING. House Guacamole did not disappoint and Shrimp tacos were very tasty. If Mexican food is not your thing, they have plenty of other options like braised short ribs and fish. 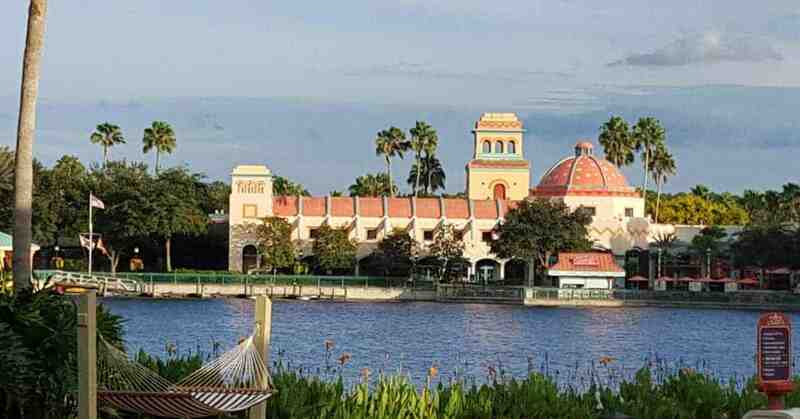 Reviews are mixed of Disney’s Coronado Springs Resort because of the fact that it does have a convention center and some guests are off-put by the idea of a family resort being overrun with business people. We have stayed there twice and never had one issue with the corporate guests. If anything, we found that the pool was less crowded because the business folks were in meetings during the day! 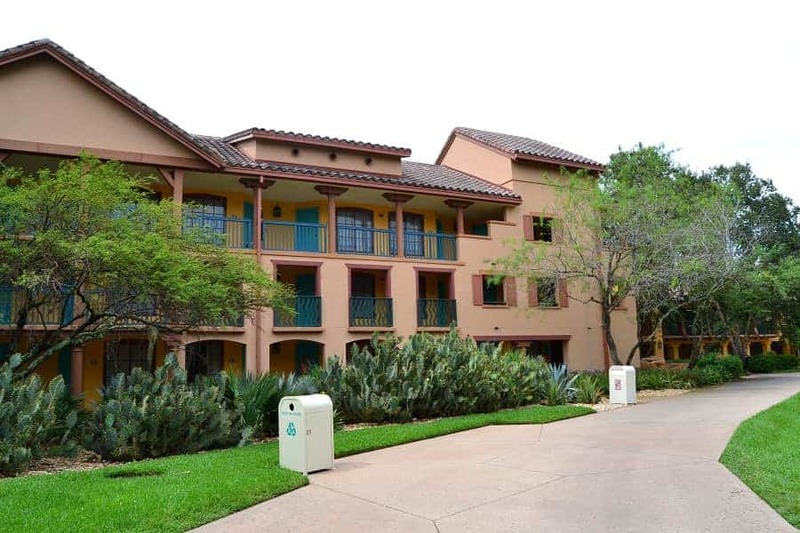 Have you stayed at Disney’s Coronado Springs Resort? What did you think?